Step into ancient Japan, where the imperial emperor has ordered you, his most trusted samurai warriors, to defeat the evil warlord Tanaka Masamune. But be warned, Tanaka is no ordinary enemy; he is protected by a powerful curse that makes him invincible to even the strongest warrior. The only way to beat him is to steal the magic stone from the handle of his sword – but first you must escape from the dungeon his henchmen have thrown you into. You have one hour to break free and complete your mission; any longer and you pay – with a fate worse than death. Great fun and gets you thinking! Visited Escape Hunt with friends today and had a fantastic time. We booked into The Fourth Samurai room and I’m pleased to say we escaped. The puzzles had just the right amount of difficulty to get us all thinking but there was enough momentum to keep game progressing. Great time had by all! We’ll be back for the next game. Thank you. Our first escape room and it surpassed our expectations, absolutely awesome! 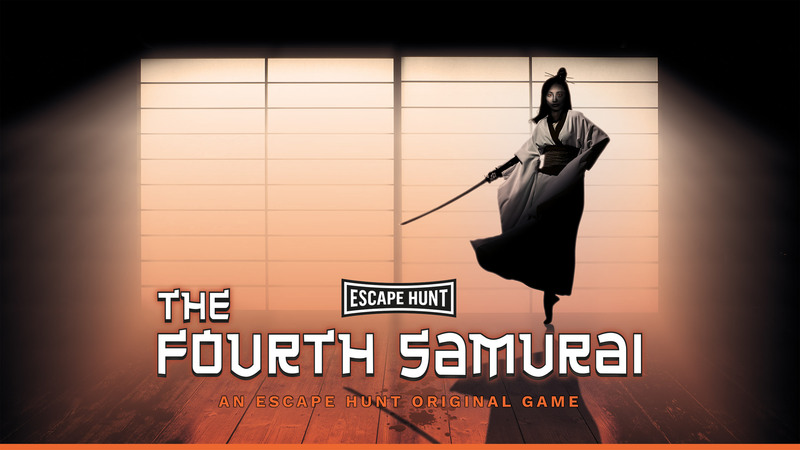 We opted for The Fourth Samurai and it was a fantastic experience from start to finish. Cannot recommend the place highly enough.